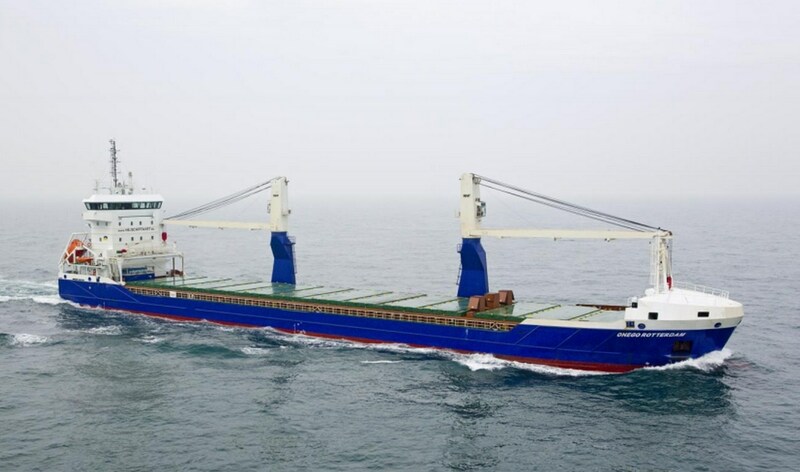 Home › Combi Freighter › Combi Freighter 8200 › Combi Freighter 8200 "Onego Rotterdam"
Combi Freighter 8200 "Onego Rotterdam"
This Combi Freighter 8200, built at Damen Yichang Shipyard, was delivered to her owner on April 26, 2013 in Shanghai. After successful sea trials, yard number 9438 ‘Onego Rotterdam’ was handed over to High Seas Shipping Eight. Shipping company HS Schiffahrt in Germany is also involved with managing the ship.